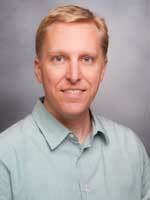 Eric Jorgenson, PhD, is a research scientist at the Kaiser Permanente Northern California Division of Research. His primary research interest focuses on the genetics of common, complex diseases and their treatment. He is currently the principal investigator of an NIH-funded study to examine the genetic factors underlying alcohol consumption and misuse in the Research Program on Genes, Environment, and Health (RPGEH) cohort. The goal of this project is to investigate the effects of genetic polymorphisms in the KIR and HLA genes on psoriasis and psoriatic arthritis. ​The goal of this project is to address the following research question: Does the use of antidepressant treatment, specifically, selective serotonin reuptake inhibitors (SSRIs) and serotonin and norepinephrine reuptake inhibitors (SNRIs), reduce the risk of primary open angle glaucoma? This is the Administrative Coordination Hub for the Pharmacogenomics Research Network (PGRN). The main areas of responsibility include meetings support, communications and coordination of nascent network collaborations. Author(s): Jorgenson E; Yin J; Shan J; Hoffmann TJ; Thai KK; Van Den Eeden SK; et al. Proc Natl Acad Sci USA. 2018 Oct 23;115(43):11018-11023. Epub 2018-10-08. Nat Genet. 2017 Oct 30. Proc Natl Acad Sci USA. 2019 Feb 26;116(9):3349-3350. Epub 2019-02-12. Nature communications. 2018 Oct 15;9(1):4264. Epub 2018-10-15. J Invest Dermatol. 2018 Dec;138(12):2589-2594. Epub 2018-07-02. Author(s): Ferreira MA; Lu Y; 23andMe Research Team; collaborators of the SHARE study; Jorgenson E; Paternoster L; et al. J Allergy Clin Immunol. 2018 Apr 18. Am J Ophthalmol. 2018 Jan 19. J Allergy Clin Immunol. 2018 Jan 08. J Invest Dermatol. 2017 Oct 17. J Allergy Clin Immunol. 2017 Oct 10. Br J Dermatol. 2017 Apr 22. Cancer Epidemiol Biomarkers Prev. 2016 Nov;25(11):1534. Hum Mol Genet. 2013 Aug 15;22(16):3250-8. Epub 2013-04-15. Genome Res. 2010 Mar;20(3):311-9. Epub 2009 Dec 23.